A yellow flower bouquet painted on a black canvas: a game of light and darkness. Your eyes are captured by the splash of joy in front of you – so enthralled by it that it takes you a few extra moments to process that it stands alone, against an empty, pitch-black background. 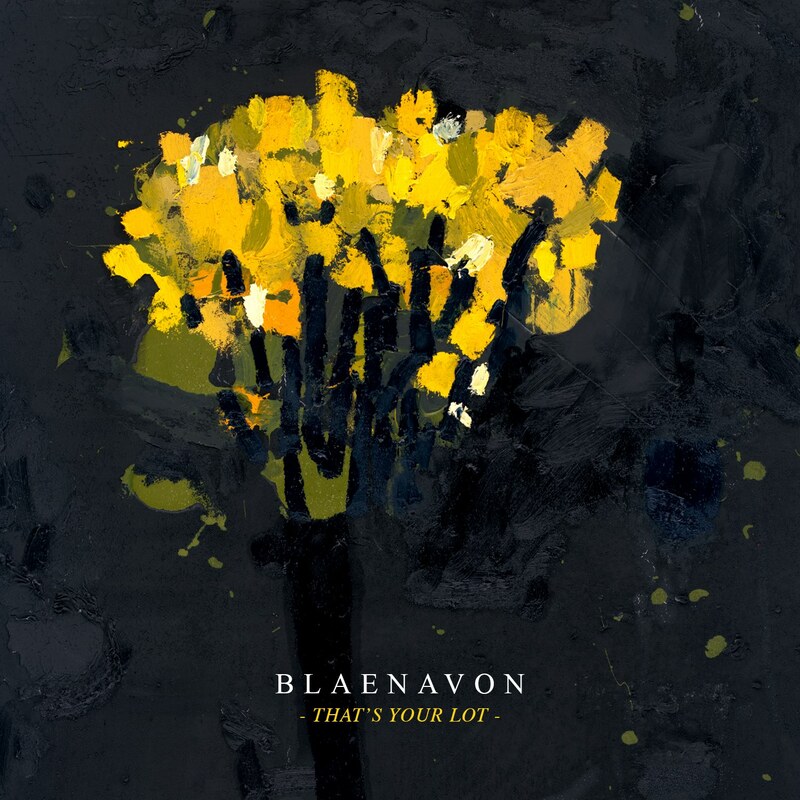 In many ways, the cover art is also a metaphor for That’s Your Lot, Blaenavon’s debut album released on 4/7/2017 via Transgressive Records. The album shows Blaenavon reaching a striking balance between their own light and darkness, starting off with sunnier tracks that slowly transition into Blaenavon’s signature gloomy rock tracks. Like the cover art, it’s a striking and beautiful piece of work that requires several listens in order to be fully absorbed. It was written between the ages of 15 and 20, which frontman Ben Gregory refers to as the period in life “when you feel things most intensely” – so intensely that the record becomes a dive into polar opposites. Blaenavon’s talent is exemplified, however, in their capacity to keep their fingerprint on every song, making every track sound cohesive despite their differences in mood and atmosphere. “Take Care” opens the album with a song that is characteristic of Blaenavon. It grows in intensity as it goes on, a perfect taster of the album which starts on a lighter foot and gradually becomes darker. “Take Care” starts with a background noise that establishes one thing: you’re not where you were before you started listening to the album, instead, you’re in Blaenavon’s own reality, and the song slowly becoming louder is equal to you finally opening your eyes and seeing the world through Blaenavon’s lens. The track starts off familiar, with Gregory’s guitar riffs accompanied by the bass and drums – the band’s core format – and slowly expands to include synths and other instruments. It is a snapshot of some of the sounds you’ll see throughout the album while also keeping Blaenavon’s heart beating steadily with their traditional setup driving the track. “Orthodox Man”, the album’s lead single is catchy and lighthearted at the surface, but its lyrics tell a story deep devotion in lines like “I’ll be your orthodox man when you call, I’ll be your slave, your pet”. This song, along with “Lonely Side” are great examples of how Blaenavon can also craft a sunny melody that will make you want to sing and sway along. They have addictive hooks and lyrics that will be ringing in your brain for days to come. “Lonely Side” talks about being in love with two people at the same time but losing both of them – the bubbly feeling of romance is plastered across the track, with Gregory’s voice showing us all the other emotions involved in the conflict – at times confident, at times fragile, always beautiful. “Let Me See What Happens Next”, the album’s shortest song, serves as a kind of transition between the lighter songs and the darker ones. Gregory is alone at the piano on this song, providing a clear change in pace from what we have heard so far on the record, and appropriately sings “let me see what happens next”, almost as if he is signalling the change in mood on the record. The album’s most ambitious pieces come next. “Alice Come Home” is six minutes and a half long, and though Gregory’s singing always stands out, the repetitive lyrics are a flag that this one is meant to let the band’s instrumental capabilities shine. The guitar on this song is particularly impressive, but the track really shines when the drums kick in and the ensemble becomes an energetic rock piece. On another unexpected turn, the song withers away at the end with Gregory’s voice hauntingly mumbling lyrics – the longing on the song title’s request, “Alice Come Home”, is perfectly seen at the end of the track. “Prague ’99”, a re-recording of “Prague” off of their 2013 EP Koso, is bolder and more powerful than its earlier version. It is more layered, complex, mature, polished, and a perfect example of Blaenavon’s musical development these last four years. The album’s longest track, “Swans”, is also the one which Blaenavon said never left the their debut album track list, and for good reason – it is simply fantastic. The song is full of hidden corners, great at not meeting any of your expectations but constantly leaving you impressed, and is cinematic both in scale and emotion. 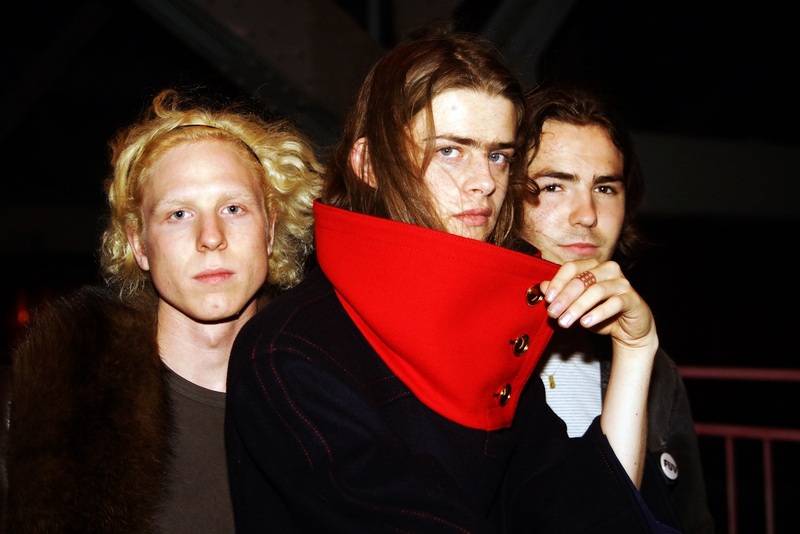 Despite it having lyrics that express a deep dedication to someone “I’ll never leave your side/ Never leave you behind”, it doesn’t require that much dedication from the listener – the almost 8-minute-long song flies by because of the different elements that always being added or taken away from it during that time, it is true evidence of Blaenavon’s talent at crafting songs. It slows down towards the end, and provides a smooth transition to “That’s Your Lot,” the album’s final and title track, that is filled with nostalgia and honest self-reflections. If That’s Your Lot is to teach anyone anything, it’s that taking time to improve, grow, and mature is never a bad idea. A debut album that was five years in the making finally arrived and presents Blaenavon to the world as one of the big bands to watch not only this year, but also for a long time to come. That’s Your Lot is mature, emotional, a perfect demonstration of the band’s skill and talent, and shows you exactly how Blaenavon sees the world. It exemplifies the best of what a debut album can and should do, and is definitely set to be one of the best debuts this year.